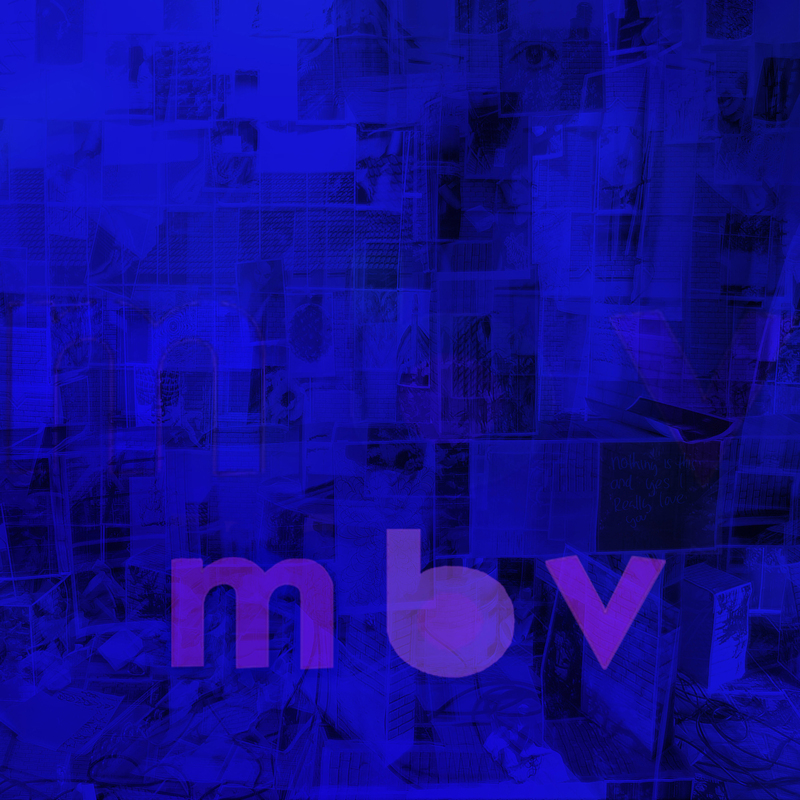 The LP, titled m b v, is one I’ve been waiting for personally for a decade, though some older fans have been in the shoegaze waiting room for just over 21 years. Their last proper release was the fan-and-critic-revered Loveless, which was set loose in November 1991 and whose sound has been credited with championing the shoegaze genre while shaping various facets of the indie music world in a major way. So here it is: I’ve listened to it a few times, on speakers, on headphones, as mp3s, on YouTube, loud, soft, straight through and broken up into pieces. And my verdict is that I just can’t commit to a verdict. An album like this (after a wait of two decades) is almost always destined to fail, like a monstrous case of “sophomore slump” syndrome — too much pressure, too much hype and too much comparison. That last bit is especially true for Kevin Shields and MBV (the band), whose greatest fears will no doubt come true as the reviews start to march in. That said, it’s not a bad effort in the least, and on more than one occasion I’ve experienced the “Loveless effect” during listening, where the sound of something grabs you by the ears and doesn’t let go, only to disappear on the next listen and reappear at random intermittent intervals. Take album opener “she found now” for example. The track is every bit of MBV goodness fans come to expect from the band: breathy vocals, gentle washes of “glide guitar,” solid basslines, metronomic drumming. This track passed right over my head the first few times I listened to it, and then without warning, became an obsession. It is, truthfully, a critic’s worst nightmare, because there might possibly be nothing unbiased to write about it aside from references to past sound and historical significance. Some of the tracks on m b v can sound terribly dated, like “new you” (which sounds more like a lost B-side of Ivy’s Apartment Life) and finale “wonder 2” (which could pass as the Stone Roses attempting a drum’n’bass single). But what if the album had been released as planned, maybe sometime between 1994 and 1997? How would the present day landscape be different if the album had been a flop, or if it had somehow dampened the cultish following that Loveless now has? That is a call I’m not willing to make without a time-travelling DeLorean and a strangely-coiffed scientist. What I can say is that m b v is a solid album on its own, albeit with a quite a few weak spots. The mixing and production have always been the focus of St. Shields, Patron Saint of Perfectionism, and his work renders the album heavier and more immediate than its predecessors — another point that will scare off the fans that don’t like change. (And personally, I think the “lower quality” uploads on YouTube sound better.) The song structures themselves are fine, benefitting from MBV’s penchant for alternative tunings, but they often wander too far from the sweet spot that left-field classics like “Thorn” and “Off Your Face” hit, even for MBV standards. So then, the bad news is that m b v, after all the hype and panic and frenzied status updates, is an inferior album to Loveless. The good news is that to most people who’ll actually care about the hype, panic and reviews like this one, nearly every other album out there is inferior to Loveless anyway. Vinyl, CD and digital downloads on sale here. Full-album stream (in lower quality) here. This entry was posted in Albums, News, Review and tagged my bloody valentine, Pickpocket by Brandon. Bookmark the permalink.